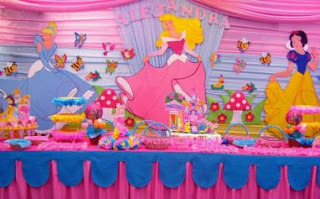 If you decided to decorate the birthday of your child with Disney Princesses theme , then we give you some interesting ideas. 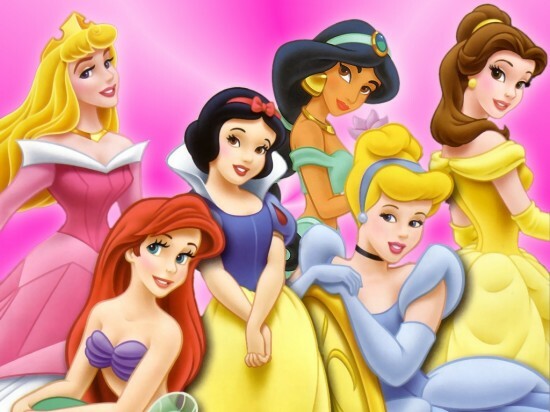 The first thing to know is that the Disney Princesses are a total of 6, Ariel (Little Mermaid), Aurora (Sleeping Beauty), Snow White, Cinderella, Pocahontas and Mulan, so it depend on the preference of the party`s owner, or decorate with all the princesses, with one in particular or a group of them. In this picture you have five of the six princesses in size, and columns of balloons in the background complementing the decor a series of characters in his films. 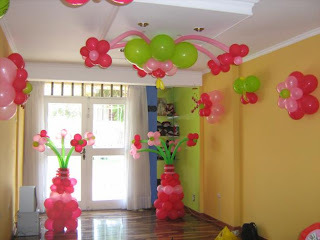 Another sample of decoration with balloons columns, but in this particular case the decoration of the table is made based on paper flowers, which may also be reminded of balloons. 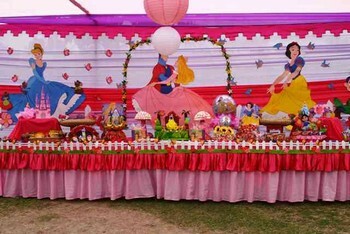 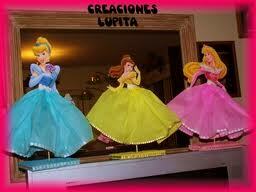 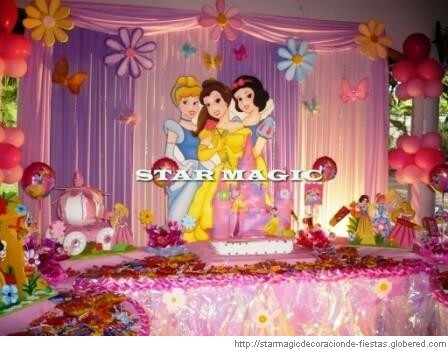 In this decoration is used a combination of cloth fabric, flowers and balloons and of course, princesses to the medium. Another example of how it can be to decorate the party with the use of cloth towels, remember that these are preferably used when the party is outdoors. 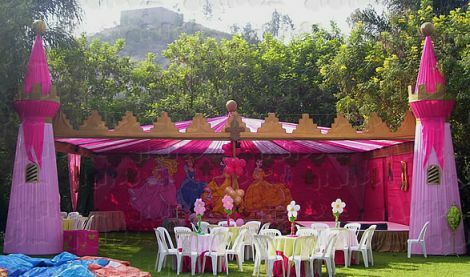 Another beautiful presentation with sheets of cloth and paper lanterns, clear that the princesses are always the most outstanding decoration. 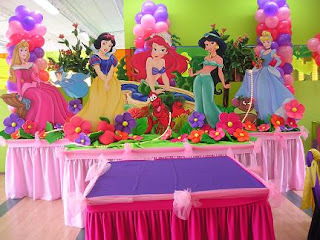 However, if you want something completely different, you can send or make a giant poster panel and place the princesses in the background of your decor, sharpness and brightness of this type of work allows the characters to look so good. 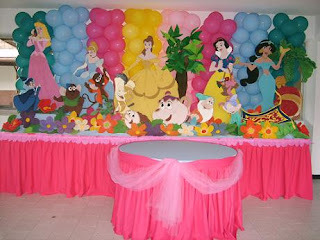 Remember that the details that complement the decor is as or more important than the main table, here are two ideas, the first is a decoration for walls, floors and ceilings, it's flowers made from balloons, while the second image is a centerpiece that has as main figures the princesses. Finally, if you have the space to recreate a castle, the final work looks good as you can see in the picture.